East coast backloading is affordable and a great opportunity to get moved from one location to the other. The Backloading Company are offering backloads up and down the east coast of Australia on a daily basis at affordable prices. All suburbs included within a 30km radius of your preferred pick up location to a 30km radius of the entire trip up the east coast of Australia. Starting with Melbourne and going along the Hume Freeway otherwise known as the M31, passing through towns such as Kalkallo to Wandong, Wandong to Broadford Backloading, Wandong to Tailarook, Tallrook to Seymour, Seymour to Hilldene, Hilldene to Avenel, Avenel to Euroa, Euroa to Violet Town, Violet Town to Baddaginnie, Baddaginnie to Benalla Backloading, Benalla to Glenrowan, Glenrowan to Wangaratta, Wangaratta to Springhurst, Springhurst to Chiltern, Chiltern to Barnwartha and landing in Albury. Keep in mind these are just some of the locations included into a East Coast Backload on off by The Backloading Company. Continuing on from Albury through towns such as Woomargama to Holbrook, Holbrook to Billabong, Billabong to Kyeamba, Keyeamba to Tarcutta, Tarcutta to Tumblong, Tumblong to Gundagai, Gundagai to Jugiong, Jugiong to Bookham, Bookham to Manton, Manton to Gunning, Manton to Yarra, Yarra to Goulburn Backloading, Goulburn to Marulan, Marulan to Berrima, Berrima to Welby, Welby to Yerringbool, Yerringbool to Douglas Park, from Douglas park and landing in Campbelltown. Offering bargain backloading solutions to the entire area of Campbelltown within approximately 30 kilometers. Leaving Campbelltown we backload to and from Prestons. With three different routes including the M7 Route also known as Westlink and the old pacific route on the M5 also known as the Western Motorway and the M1 otherwise known as the S Western Motorway. Landing in Sydney. Our backloads included in a Sydney Backload would include all suburbs and towns within a 30 kilometer radius from central Sydney and both highways with the M7 including the town of Colyton. Along both the M7 Westlink and the M1 also known as the Waringah Freeway heading north but also returning on this route. From Sydney to Wyong, Wyong to Killingworth, Killingworth to Lenaghan, Lenaghan to Maitland, Maitland to Newcastle Backloading. With a range of Newcastle services included in your backloading quote. Packing and packing materials. Or if you prefer to pack yourself then packing tips and personal item insurance are provided. We want to ensure you are moved safely and effectively. It is important to remember when it comes to backloading up and down the east coast that there will be no depot to get things ready. So your possessions will need to be organized prior to pick up. Leaving Newcastle along the A1 also known as the Pacific Highway and into Heatherbrae, Hetherbrae to Raymond Terrace, Raymond Terrance to Ferodale, Ferodale to Karuah, Karuah to Nerong, Nerong to Bulahdelah, Bulahdelah to Coolongolook, Coolongolook to Nabiac, Nabiac to Possum Brush, Possum brush to Kiwarric, Kiwarric to Glenthorne, Glenthorne to Tarree backloading, Tarree to Coopernook, Coopernook to Moorland, Moorland to Johns River, Johns River to Rossglen, Rossglen to Kendall Backloading including Kew, continuing on from Kew to Herons Creek to Trumster and landing in Port Macquarie Backloading. All suburbs included within a 30 kilometer radius of Port Macquarie. The Backloading Company are here to help with your East Coast Backload. along the A1 Pacific Highway. Heading through Telegraph Point to Kundabung, Kundabung to Kempsey Backloading. Kempsey Backloads including Euroka and Yarravel Backloading. From Kempsey to Frederickton, Freferickton to Bellimbopinni, Bellimbopinni to Clybucca, Clybucca to Warrel Creek, Warrel Creek to Macksville Backloading. Continuing on from Macksville to Nambucca heads, From Nambucca Heads to Valla Beach, Valla Beach to Urunga, Urunga to Raleigh, from Raleigh to Repton, Rupton to Bonville, Bonville to Boambee including the area of Toormina and continuing on Coffs Harbour with excellent affordable backloading options for the entire area of Coffs Harbour. Coffs harbor to Moonee Beach, Moonee Beach to Sandy Beach, Sandy Beach to Woolgoolga, Woolgoolga to Safety Beach, Safety Beach to Arrawarra, Arrawarra to Corindi Beach Backloads, Corindi beach to Halfway Creek, from halfway creek landing in Grafton. With everything included in our backloading solutions. You get packing services straight up to your pick up destination. Our trips through Grafton up and down the East Coast are on the Pacific Highway. From Grafton to Ulmarra, Ulmarra to Cowper and Brushgrove, From Cowper to Mclean, Mclean to Harwood, Harwood to Chatsworth, Chatsworth to Tabbimoble, Tabbimoble to Wood Burn, Wood Burn to Broadwater. From Broadwater to Wardell backloads, From Wardell to Pimlico. From Pimlico and landing in Ballina. With extensive service including all areas within a 30 kilometer of Baillina Including Lennox Heads. Leaving Ballina and heading up and down the M1 Pacific Highway. From Cumbalum to Tintenbar, Tintenbar to Knockrow, Knockrow to Newrybar, Newrybar to Bangalow, Bangalow to Byron Bay Backloads. Byron Bay to Brunswick Heads including the town of Mullumbimby, Mullunbimby to New Brighton, New Brighton to Billinudgel, Billinudgel to Sleepy Hollow, Sleepy Hollow, Sleepy Hollow to Chinderah, Chinderah to Banora Point, Banora Point to Coolangatta, Coolangatta to Currumbin, Currumbin to the greater region for an excellent Gold Coast Backloading opportunity. Continuing on from the gold coast along the Pacific Motor Way. Passing through towns such as Pimpama and Kingsholme, Kingsholme through Ormeau and up towards Brisbane City. With a depot located in Brisbane City things get easier and the option to either drop of your belonging at the depot for a cheaper quote becomes available. Our Brisbane Backloading is competitive and unique. Our staff are experienced and know how to handle any type of job. Beyond Brisbane we have towns starting with North Lakes and Deception bay. Caboolture to Beerburrum, Beerburrum to through the glass house mountains or continuing on the M1 Bruce Highway. From Bells creek to the Great Sunshine Coast. Excellent Sunshine Coast Bargain Backloading. Continuing on from the Sunshine Coast to Black Mountain. Black Mountain to Monkland. Monkland to Gympie. From Gympie along the Bruce Highway. Passing through towns such as Curra, Curra to Gunalda, Gunalda to Tiaro, Tiaro to Owanyilla, Owanyilla to Maryborough, Maryborough to Aldershot, Aldershot to Howard, Howard to Cherwell, Cherwell to Childers Backloading. Continuing on to South Bingera, South Bingera to and landing in Bundaberg. Bundaberg to Gin Gin, Gin Gin to Takilberan, Takilberan to Miriam Vale, Miriam Vale to Bororen, Bororen to Iveragh, Iveragh to Benaraby, Benaraby to Gladstone. With amazing backloading rates for the greater Gladstone region. 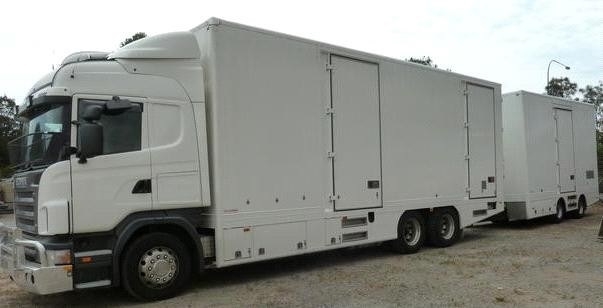 The Backloading Company have everything you need when it comes to removal services. Continuing on from Gladstone along the Bruce Highway. Mount Larcom to Ambrose, Ambrose to Reglan, Reglan to Marmor, Marmor to Bajool, Bajool to Rockhampton. Including 30 kilometer radius around the greater Rockhampton region. The Backloading Company has your east coast backload covered. Continuing on from Rockhampton along the A1 otherwise known as the Bruce Highway. Through the Caves and onwards to Yaamba, Yaamaba to Marlborough, Marlborough to Clairview, Clairview to Ilbilbie Backloading. Koumala to Sarina, Sarina to Alligator Creek. Finally landing in Mackay. With extensive services throughout the Mackay region. The Backloading Company is here to revolutionize the backloading industry. From Mackay to Mount Ossa, Mount Ossa to Bloomsbury to Proserpine backloads. From Proserpine to Bowen, Bowen to Guthalungra, Guthalungra to Ayr, Ayr to Cromarty. And arriving in Townsville. Townsville Backloads include a 30 kilometer radius. All Suburbs included in our East Coast Townsville Backloading prices. From Townsville we continue on through Black River to Rollingstone, Rollingstone to Coolbie, Coolbie to Helens Hill, Helens Hill to Ingham, Ingham to Rungoo, Rungoo to Ellerbeck and on through Kennedy. Kennedy to Birkalla, Birkalla to Maadi, Maadi to Daveson, Daveson to Sandy Pocket, Sandy Pocket to Innesfail. With awesome rates included in our east coast backloading trip. Innisfail backloads would include packing services and a door to door pick up and deliver. From Innesfail to Mirriwinni, Mirriwinni to Bellenden Ker, Bellenden Ker to Gordonvale and finally arriving in Cairns. So this concludes a typical east coast backloading by the Backloading Company. Revolutionizing the way backloads are done and getting you moved safely and effectively up and down the east coast of Australia because we strongly believe that you deserve the care of duty as delivered by our company. Diversion Rates may occur if said destination for pick up or drop off exceeds the radius of this East Coast trip and down the East Coast of Australia.